Discussions around saving ‘Buildings at Risk’ often focus on the vacant building itself and the trials and tribulations of funding, planning, and the technicalities of the repair. This ignores, or avoids, the reality that no building is saved and safe for the future in the absence of a sustainable ongoing use and purpose. The process of business planning for the eventual use while, in parallel, obtaining appropriate funding, can take a considerable amount of time, and in the interim the building remains underused until all aspects of the project are secured. Vandalism and heritage crime can occur at any time to a building, but perhaps more often when there is no physical activity or presence in the building. This can have a devastating effect. As a way to deter vandals, facilitate basic maintenance, and raise the profile of a vacant building, the concept of ‘meanwhile use’ or the more recent fashion for ‘pop-up’ uses has proven an invaluable way to proof test and experiment with different ways for an historic building to be put back into service. ‘Meanwhile uses’ are usually for charitable or socially beneficial purposes, run by communities or voluntary groups – but there are examples of commercial occupiers who may be interested in such spaces for ‘pop-up’ shops. Although the concept may be temporary, these uses can act as a catalyst for more long term and sustainable approaches for the future of the building. Riddel’s Warehouse, is a good example of how an organisation has explored a plethora of ‘meanwhile uses’ along the road to a sustainable future for the building. 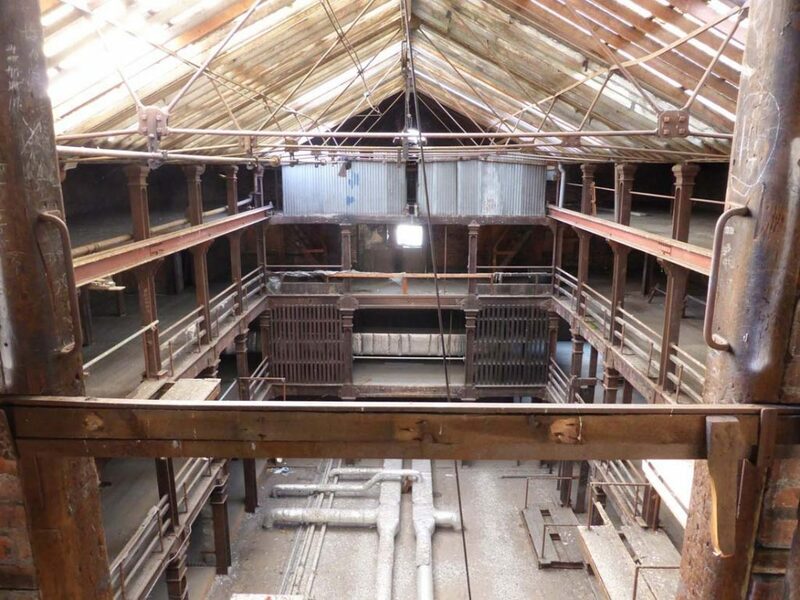 The Grade B+ Listed, High Victorian four-storey seven-bay warehouse, dating from c.1865 was designed by Thomas Jackson and Sons for Messers John Riddel and Son, suppliers of ironware and steel stock to the thriving engineering firms of Victorian Belfast. The galleried internal space supported by cast iron pillars of H section with spooned ends connecting to pedestal and capital is a triumph of the iron founders’ art with some original gas lamp fittings remaining. It has the atmospheric feel of a Shakespearian theatre with its central covered courtyard and glass and ironwork roof and, appropriately has easily been transformed into a performance space with minimal need for adaptation. Hearth Historic Building Trust conduct tours of the building and it is also regularly sought after as a filming location, a backdrop for quirky photography, as well as a case study example for student projects and for digital technology training. 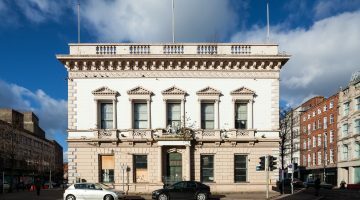 The building has opened twice for Culture Night Belfast, where this year the space offered music from the Studio Symphony Orchestra, poetry readings from the John Hewitt Society and an art installation from Oliver Jeffers in a unique venue. Marcus Patton of Hearth Historic Building Trust says “When a building has been disused for fifty years it is important to demonstrate that it is still viable, and bringing in meanwhile uses is the best way to try out new directions and convince people that the derelict building is actually an amazing asset.” By acknowledging buildings at risk as just these amazing assets, they enrich our villages, towns and cities where ‘meanwhile use’ provide a mechanism to trial a variety of appropriate uses for a vacant building while illustrating to potential sceptics the ‘art of the possible’.